ZIMBABWEAN students studying on State scholarships in Algeria have, for the umpteenth time, made an impassioned plea to President Emmerson Mnangagwa to look into their welfare, which is now dire, as they are struggling to live decently without government stipends. For years, the government has persistently failed to pay students’ yearly stipends. In various SOS tweets, the students said they had exhausted all channels of communication for government intervention to no avail. 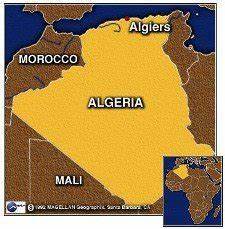 The scholarship to Algeria, which is meant for students from disadvantaged families, has been fraught with challenges for years, with the government failing to pay the $3 000 annual stipends. “Our government promised to give us annual stipends of $3 000 every year to cater for our welfare, however, it turned out that no such money was disbursed since 2015. Our lives have become difficult and unbearable. We are halfway through the academic year and we haven’t received a penny,” one student, who requested anonymity, said. In December last year, the students’ representative committee met with principals from the Office of the President and Cabinet. “We were told to leave the past into the past, but how can I forget when the debt I incurred is still there? I am in the first year and can’t take care of myself because I am an orphan,” another student said in one of the several heart-breaking tweets. Some of the students, in a bid to earn some cash, said they have resorted to menial jobs, but are being short-changed because their permits are strictly for education purposes. “Some of us are working in construction sites where we are paid $4 per day for nine hours and at times we are arrested after being perceived as immigrants,” said one of the students. Hardest hit are female students who are struggling for basic needs like sanitary wear. “As female students, we are desperate for help. If you had told us the truth, we would not have accepted these offers. Our lack of stipends has affected our reproductive health as sanitary wear and toiletries have become a luxury we are unable to afford,” said the students. The female students said as a result, their dignity had been lost. The students said their patience was running thin and they felt like government had just dumped them in a foreign land. “We have a contract and if the whole government can’t play its part, what precedence is that for our future generations?” they said. Final year students said they needed money to do projects and carry out sound research.